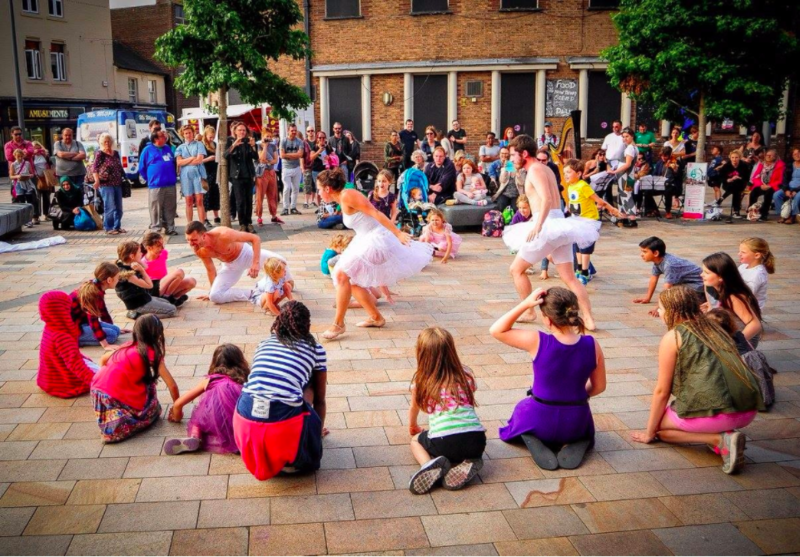 Last month the Creative People and Places network published two reports sharing impacts and outcomes from the first three years of their Creative People and Places (CPP) programme (2013-2016). The programme currently funds 21 projects to get more people choosing, creating and taking part in creative experiences in areas where there are fewer opportunities to get involved with the arts. We have been working with two Creative People & Places projects: Creative Black Country and Appetite in Stoke-on-Trent. Over the last three years we devised an audience development strategy for Appetite, and we have charted the impact of both of the project’s activities through interviewing audiences, stakeholders and local businesses as well as observational research and discussion groups. Across 3099 activities, the programme achieved 1.45 million audience ‘engagements’. 91% of audiences and participants came from neighbourhoods with low or medium engagement in the arts. Evidence suggests that CPP has changed individual, community and sector perceptions of the arts. Evidence also suggests that participation in CPP leads to greater empowerment, confidence and increased sense of belonging in communities. CPP is increasingly being recognised for its excellence in art, which has raised its profile and is starting to have a positive impact on the sector through increased recognition, ambition and links with NPOs. The full reports can be found here and here. Another perspective on the findings can be read on the Arts Professional website. Researcher Stephen Pritchard has raised concerns that the latest evaluation was based on flawed methodology. Looking for uplifting reading? Portraits and personal stories from those involved in CPP projects including Appetite and Creative Black Country can be found here. Image: Swan Lake by Royal Opera House, Big Feast 2017, Stoke-on-Trent, Appetite. Image credit: Clara Lou Photography.